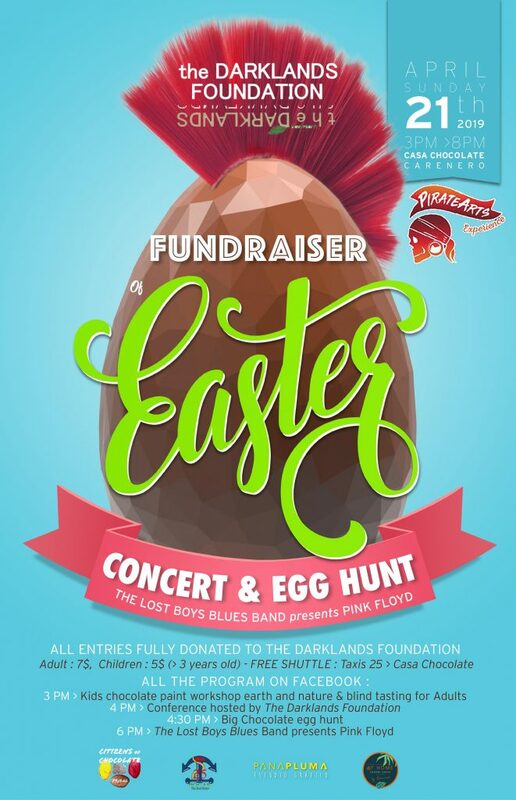 CONCERT AND EASTER EGG HUNT FOR A GREAT CAUSE! Click the flyer to purchase tickets! Print this coupon and have your 1st drink free! 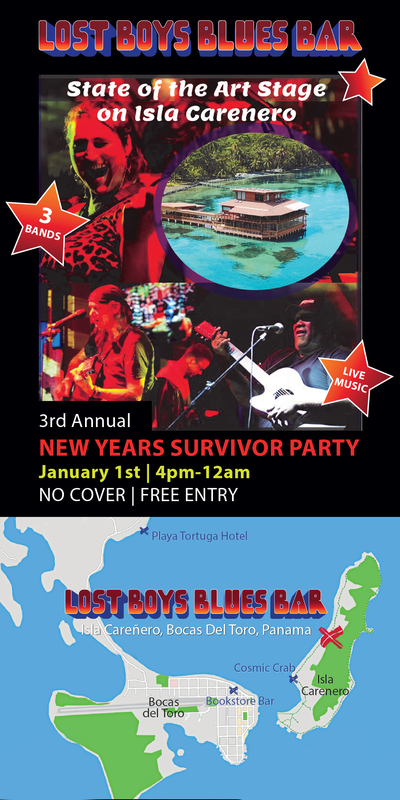 So it’s time again for our Survivors Party ( OUR 3RDANNUAL!!!!) 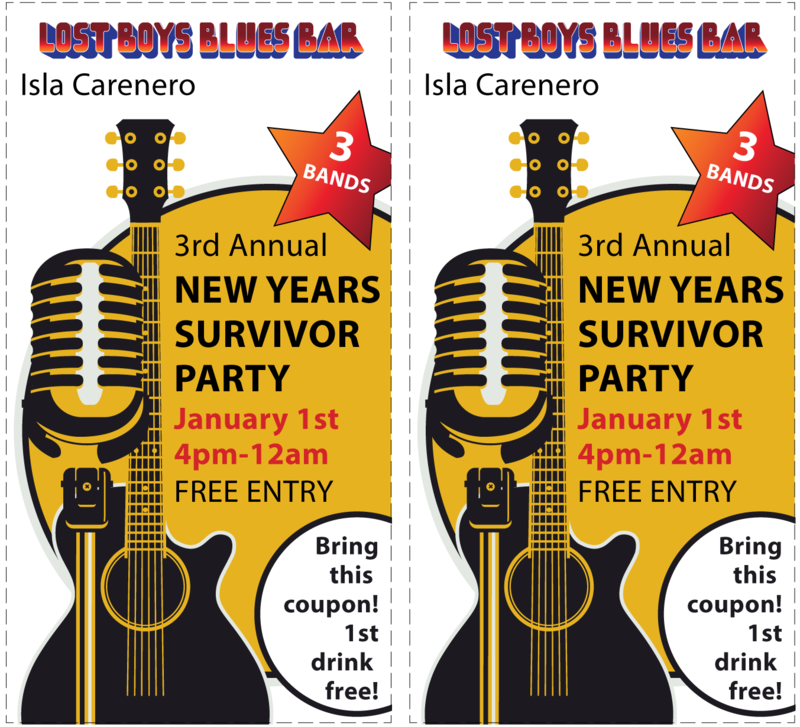 here at the Lost Boys Blues Bar , Isla Carenero, Casa Chocolate! JAN 1ST From 4 PM – 12 AM. There is No Entry Fee, so my Carenero Neighbors can come for Half Price!!!! Just Kidding! Forward the invite at will!!!! RocktoberFest 2018 was a success! 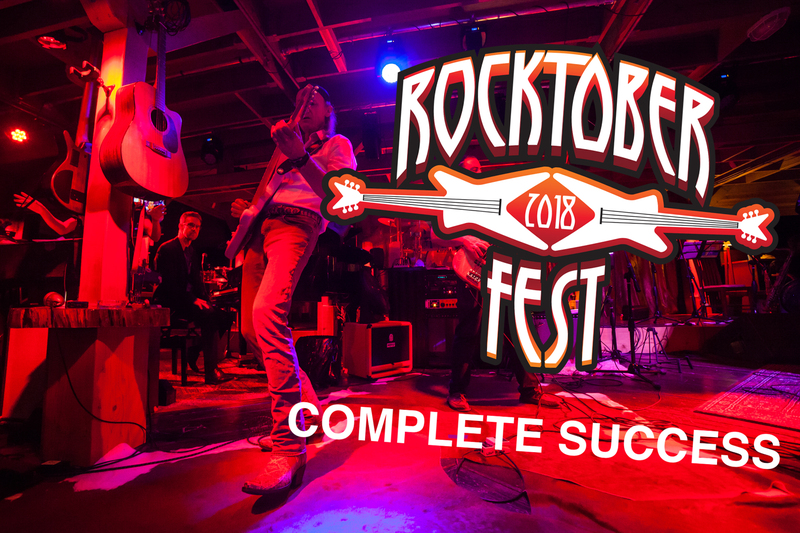 RocktoberFest 2018 was a complete success! 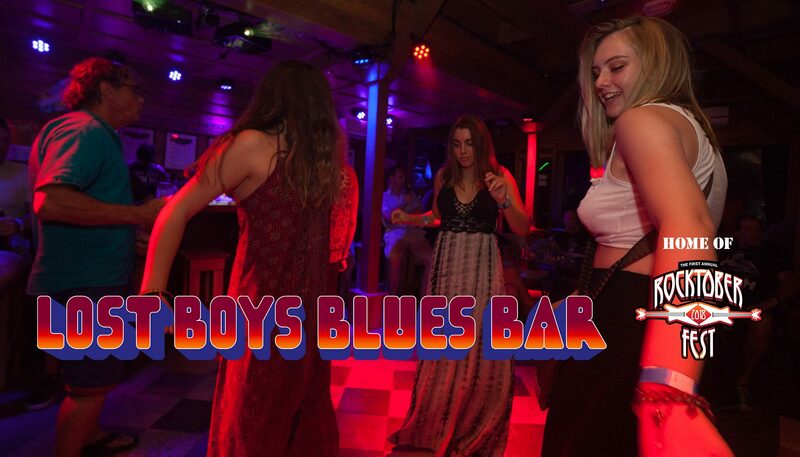 Thanks to everyone who attended the five day rock n roll blues festival featuring the best rock n roll artists to hit the islands! RocktoberFest will be held annually! To relive the memories from the 2018 event click here. 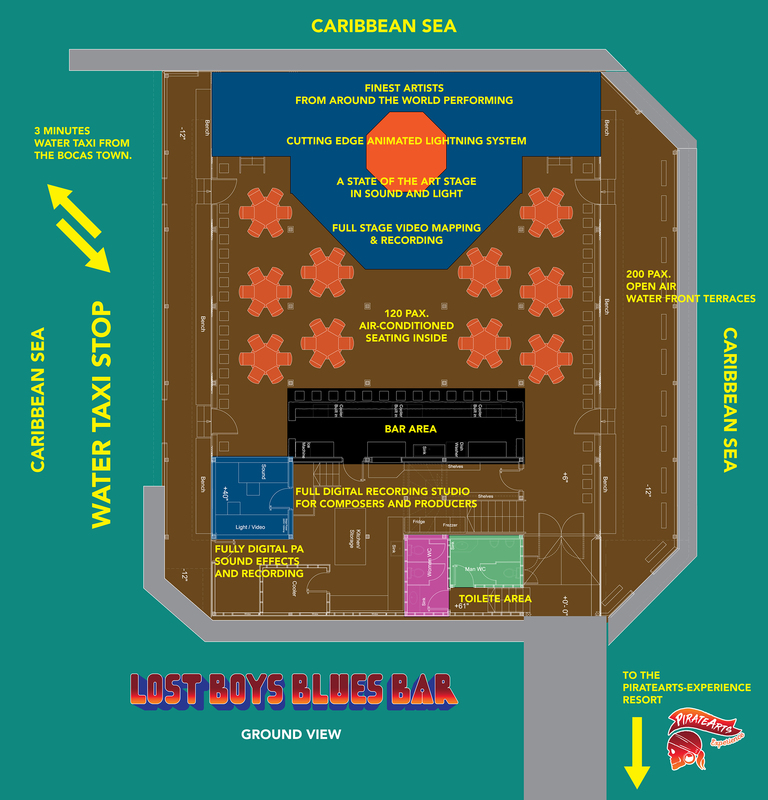 Lost Boys Blues Bar is to be the Best Blues and Rock Performance Art Space in Central America. 1. Creating the most advanced state of the art Sound / Light and Multi Media Experience. 2. Creating an Atmosphere that is One of a Kind. 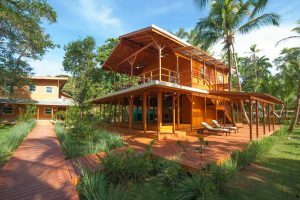 Both from the over water tropical paradise Caribbean location to the inviting and comfortable environment and decoration. 3. Creating primarily Full Evening Special Show Productions where no aspect is left un-designed, perfectly choreographed and well rehearsed. 4. Working Experience with only the most talented Professionals the Local Area ( and the world! ) has to offer. This includes Writers , Directors , Musicians, Designers, Choreographers, Technicians , Hosts and Hostesses and the entire House F&B Staff.